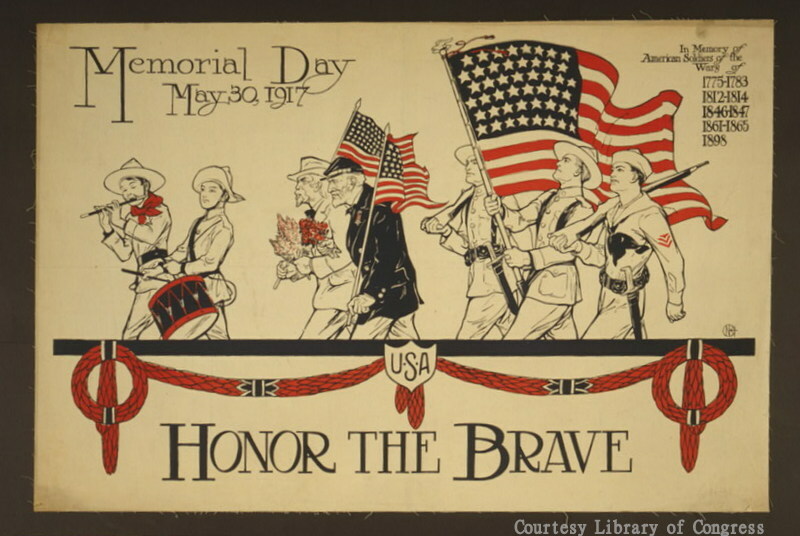 Two Nerdy History Girls: What is Memorial Day, really? In 1971 the U.S. moved Memorial Day to create a long weekend. This one kicks off summer for those of us living in the colder parts of the country. (In my part of New England, for instance, tomato planting may begin.) Originally observances took place on 30 May, on what was called Decoration Day. Since the sales and barbecues can obscure the real story, I thought it wouldn’t hurt to offer some photos and information about the holiday's origins and meaning. 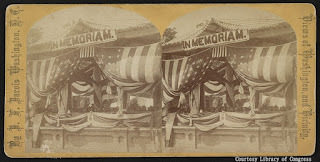 The photo below right is titled Celebration of the first official Decoration Day at Arlington Cemetery, 1868 May 30. One of the tiny heads in the photo belongs to then-U.S. President Ulysses S. Grant. While the date may change, the president still shows up, and Arlington National Cemetery is still the focal point of observances. You can read more about the holiday and its history here at the Library of Congress. And here at the Smithsonian blog. Last year, I offered some photos of the American Cemetery in Florence, Italy in two blogs, here and here. This panoramic photo (please scroll horizontally for the full effect) shows another American Cemetery. This one is at Suresnes, near Paris. 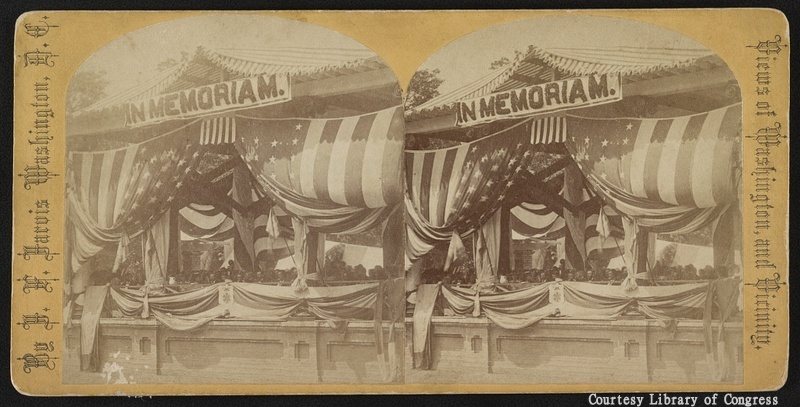 The photo was taken at the Memorial Day ceremony on 30 May 1920. I found it very moving. Images courtesy Library of Congress Prints and Photographs Division Washington, D.C. 20540 USA. Just a heads-up...the panoramic photo link isn't working. I'll check back later. 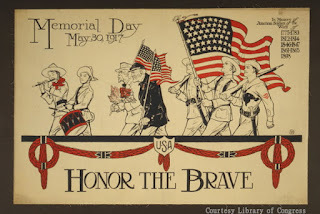 Thanks for posting about the meaning of Memorial Day! Quinn, for some reason this photo gave me similar problems, although my last test showed it working. I've put in a different link, which requires you to click on the photo. That one worked when tested. I remember my grandmother calling it Decoration Day. We would all haul up the mountain to where her parents were buried in a church/school yard and meet up with a slew of oldsters from the area and put flowers on the graves and have a huge potluck. I don't think I realized "Decoration Day" had anything to do with war dead until I was in my teens!